The future is here. 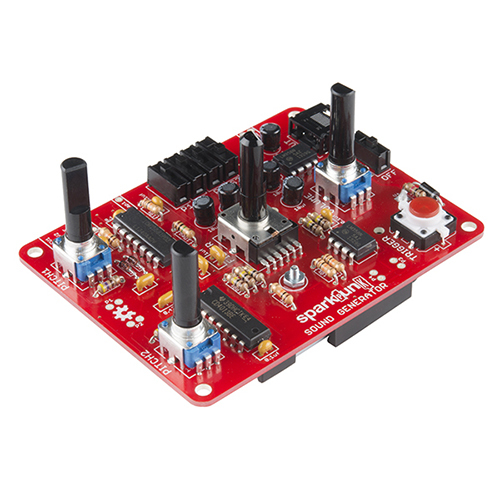 This week we have a sound generator, 3D printer, and more! This week is special. Not only do we have a lot of really cool products, we have three videos! We have the classic product video (my favorite), a demo video, as well as an unboxing and setup video. Wow. Be sure to watch all three multiple times. Phew, that's a lot of videos for this week. Let's dive right into the rest of the new products. There are several 3D printers out on the market, and they all do about the same thing. They all take various materials, heat them up, extrude them through a little nozzle, and deposit them on a flat bed into a shape of your choosing. They are precise machines and require a rigid frame, precise mechanical components, and a bunch of electronics. Getting everything to work together to make a usable print is tricky. Thankfully, the team at Lulzbot has this all figured out. 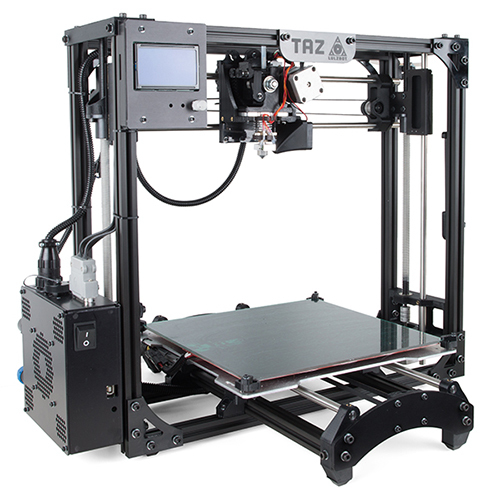 With the Taz 4, you can be up and printing in under an hour. It just takes a few minutes to assemble (it comes mostly assembled, you just need to attach a few pieces) and then calibrate. It can print from a computer or directly from an SD card. It also has one of the most versatile extruder heads in the industry making it perfect for just about any material you want to use. One of the cool things about 3D printers is the variety of material being offered today. You're no longer limited to just hard plastics. 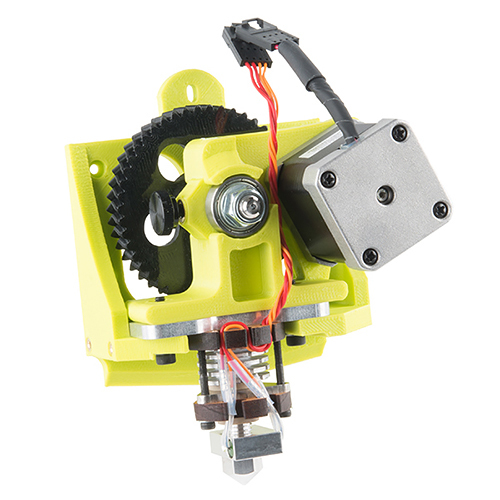 With the addition of the Flexystruder Tool Head, you can print NinjaFlex, a flexible thermoplastic. Flexible materials open up a new range of uses for 3D printing, such as: cell phone cases, hinges, stretchable jewelry, and impact and vibration dampening. The tool head easily installs into the Taz 4 with a single screw and can print a wide variety of materials. 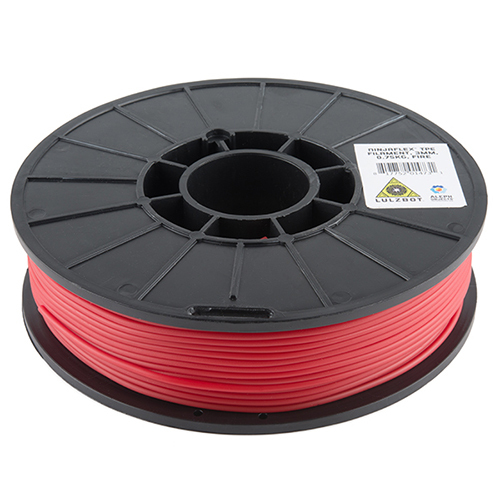 Speaking of filament, we have a few filament options to choose from. We have ABS (classic, durable, easy to print), PLA (more forgiving, biodegradable, good surface finish), and NinjaFlex (flexible print material). We just have a few colors of each, but should be getting more shortly. Check the 3D Printing category for our whole selection. What if you're more interested in making some music? The SparkPunk Kit is a sound generator made in the spirit of the Atari Punk Console.The SparkPunk is a very simple synthesizer, using the somewhat conventional arrangement of oscillators that feed a filter. All you need to know to play this sound generator is to press the button, and operate the controls knobs, listen to the results, and adjust your music to how you want it. It comes as a kit which requires some basic through-hole soldering. 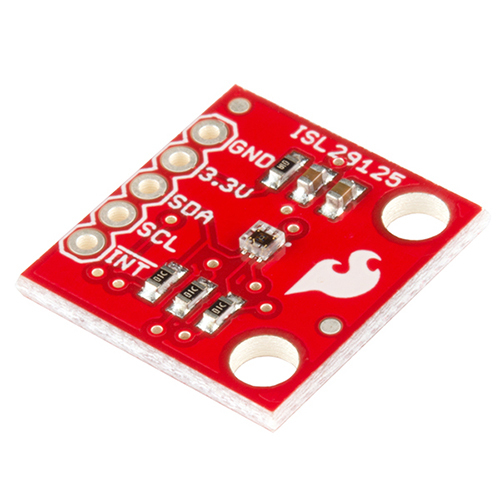 The ISL29125 breakout board makes it very easy to sense and record the light intensity of the general red, green, and blue spectrum of visible light while rejecting IR from light sources. You can then use these sensor readings for the purposes of logging and finding patterns, or creatively calculate and make control decisions in your electronic projects. Check out the hookup guide for more information. 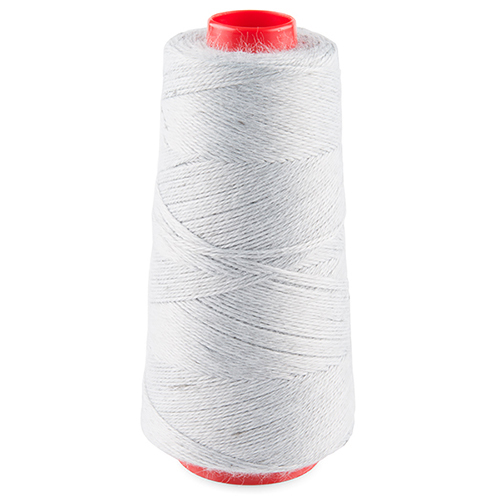 For all you e-textile and wearable electronics fans, we have some new conductive yarn. You can use it as a creative way to knit or crochet various electronics onto clothing projects or even making great stretch sensors. It's sold in a spool with 300 meters of yarn. The Intel Galileo is a board that came out of a collaboration between Intel and Arduino. 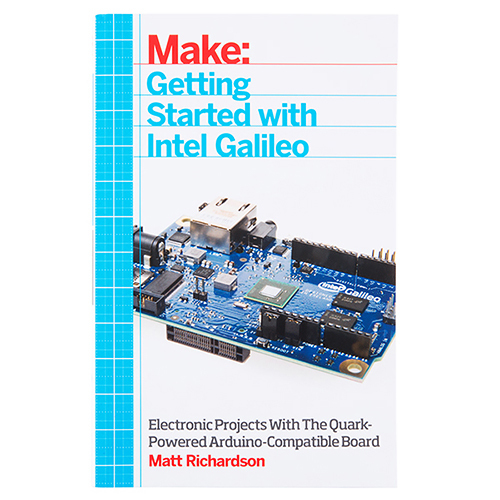 If you want to learn more about how this cool board and how to use it, you might want to get the new book, Getting Started with Intel Galileo. This book provides step-by-step instruction on writing Arduino sketches for the Galileo, and also takes you into the Linux capabilities that set this powerful development platform apart from other Arduino boards. Lastly, we have a new revision to our MMA8452Q breakout board. The revision adjusts the layout and footprints a bit. 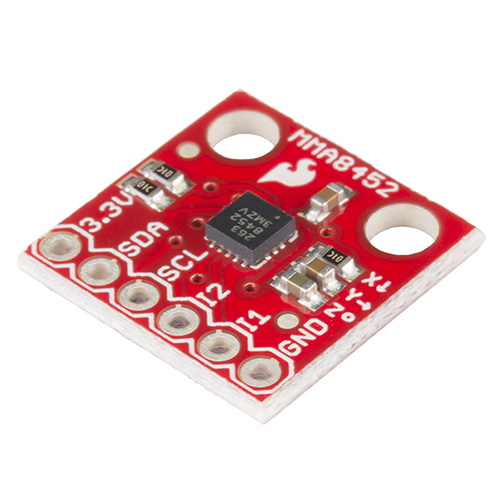 The MMA8452Q is a nice low-cost triple axis accelerometer with an I2C interface. That's the end of the post. Thank you for reading and watching. We have a bunch more new stuff ready for next week, so be sure to check back then. Also, next week is AVC! I'll be there judging all the ground vehicles, so be sure to check it out. It's free! AVC Is Just Around the Corner! Hooray for SparkFun Electronics deciding to sell the excellent LulzBot TAZ 4 3d printer. It is 100% Open Source Hardware and Respects Your Freedom certified by Free Software Foundation! Yeah, the openness of the thing is a big plus. I hadn't noticed they actually have an FSF certification, but that's pretty rad. Nice to see 3D printing taking off, but still way too expensive to the hobbyist market (unless they're in a hackerspace). Would SFE have any plans on providing a tutorial on making your own 3D printer? That would be cool and be extremely helpful. Pre-assembled printers are expensive, but printers with virtually identical print quality can be made for far less. I built a WolfStrap (wooden RepRap derivative) for about $400, which I think is certainly in the reach of a hobbyist. Plus, I think building the thing is actually more educational than anything you could really print with it. A tutorial would be cool, though probably somewhat redundant, given the amount of information on the rewrap wiki. The real problem is finding that information, since it is organized rather poorly. Maybe, instead of a tutorial, a curated list of resources for those attempting their own build? Don't get your beard caught in the extruder. Great video - very geeky. "and ya can't change that by gettin all ... bendy"
Please, don't go crazy and fall asleep.